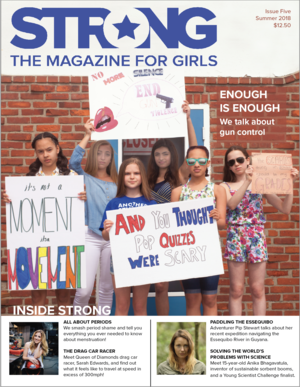 STRONG The Magazine for Girls is a quarterly publication that seeks to empower and inspire tween and teen girls. It features STRONG female role models, as well as ordinary girls doing extraordinary things! Shipping included.